What an Easter weekend we had at Molly. The weekend was spectacular with the weather showing all its variety, wine showing all its potential and the guests enjoying the homestead and the surrounds. It was a weekend where Rockin Rod was strutting his stuff at Hope. The Sunday of the concert after a rainy day before dawned bight and sunny and the mood became supercharged. Lunchtime wine (the MM semillon) was quaffed and the would be wannabe Rod fans dolled themselves up and then headed off to the concert while the die hard traditionalists stayed at the homestead, set out the fire, opened some shiraz and sat back. Looking out towards the Brokenback Range, nature threw on an amazing sound and light show (sheet lightning, thunder against a purple sky) and it all but drowned out the distant sounds of Rod and his horde of middle-aged groupies. 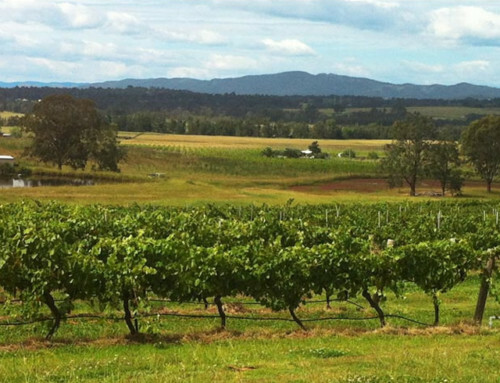 Great value stay for the 8 of us – we will be back and enjoy again – surrounded by the lovely valleys of Lovedale and close to the big wineries (Hope, Hungerford Hill, McWilliams, Tyrells) – this is a place that really wants you to come back again and again. Couldn’t agree more , we had the same experience !